This entry was posted on June 8, 2013 by Andie Pantazi. In a graduation ceremony, we commonly see the graduates wearing academic regalia which is by nature the most noticeable set of items in the event. The basic academic regalia include graduation gowns, academic square caps and academic hoods. Each garment has its own academic symbol which is significant in completing the graduation experience. An important garment in the academic regalia would be the graduation caps which come in different types depending on the kind of degree that one will be graduating with. Generally, bachelor degree graduates wear square academic caps while graduates with masters and doctorate degrees wear a tam which is similar to a Tudor cap. Both caps have tassels attached on them which greatly contributes to the main significance of the cap being worn. The tassels are being flipped ceremoniously from one side to another to dramatically symbolize one’s transition from being a student to becoming a graduate. Another garment which is as important with the cap would be the academic hoods. Hoods basically are the indicators of one’s earned degree during a graduation ceremony. The academic hood degree colors which come in different and majestic shades classify the graduates according to their fields of study. This will distinguish them from other graduates and because of the different colors and designs that are incorporated into them, it gives graduates a sense of pride in the particular field they have chosen to finish. Academic hoods are either worn beforehand or worn within the ceremony. There are universities who add up extra traditional ceremonies to make the graduation experience even more memorable like the hooding ceremony, for instance. The hooding ceremony can be done in many different ways and to mention some would be having it before the processional. Parents or loved ones of the graduate would assist them in wearing the hoods before they march their way to the ceremony venue. Another way to conduct the hooding ceremony would be on stage right after receiving the diploma. The university director or any school authority together with the graduate’s loved ones will assist him or her with wearing the hood in front of everyone in the audience and all the other graduates. This more special way of hooding is usually done for graduates of higher degrees such as doctorate and masteral. Like hoods and caps, other graduation items are also significant; one item would complete the other. Purchase the best graduation garments today to ensure that you will stand out from the rest of the other graduates on your graduation day. The best and most convenient way of purchasing such graduation garments would be through online shops and websites like Bestbuttman. 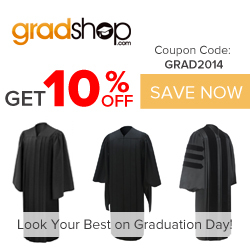 They have all sorts of graduation apparel from graduation gowns, honor stoles up to the tiny graduation accessories. They assure that their products are modern, comfortable and most of all friendly for the budget. In addition, items will then be delivered right at your doorstep. All that and more without the added hassle of having to personally go on different graduation shops in your town. Visit their website today and see what they have in store for you. У нашей компании классный блог про направление https://sribnapidkova.ua.